To those who want to stay always connected with their Facebook friends by posting comments, likes and sharing you can register to Talk N Text latest FB promo this 2016. The new FACEBOOK10 gives you 3 days FB internet access for only 10 pesos. Just download the app for on Google Play for Android and Apple Store for iPhone or iOS users. 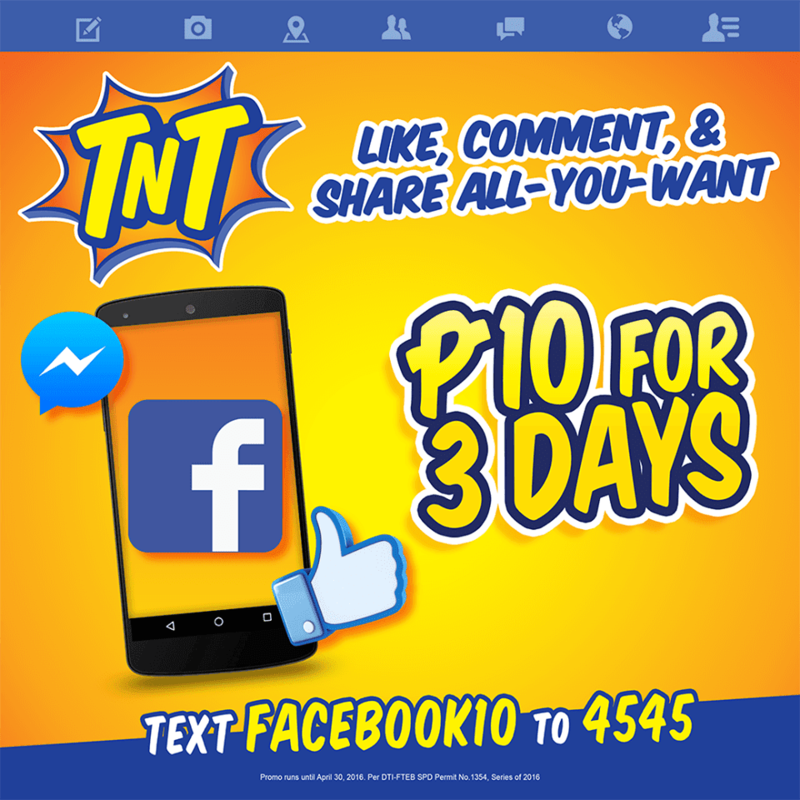 Go to your nearest load retailer then reload your TNT prepaid account for P10 and register to this promo to enjoy Facebook access while you’re on the go. 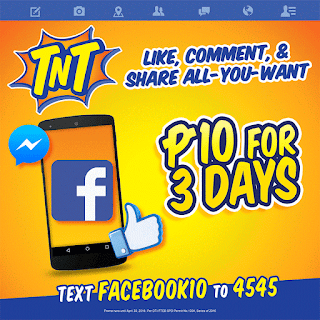 This TNT FB10 promo is still valid but with 200MB cap per day. You can also use FB messenger while you are registered to this and enjoy group chat and private messaging with your friend and love ones. If you want unlimited Facebook for 2017, try TP10 - 10 Pesos Unlitext plus optional Unli Facebook via FB2 promo. For those who want more cheaper, try out Facebook to 5555 for 5 pesos only good for 1 day. Try and let us know about your experience of using this budget friendly promo. On every successful registration you will receive a SMS notification confirming that you are ready to use Facebook promo. Visit TNT website or social media pages for updates on this. can we also use video chat in fb messenger in this promo? Na try ko to pero PARANG may Data Cap. Bumabagal kasi ang connection pag matagal kanang connected. May free call po ba using facebook messenger?